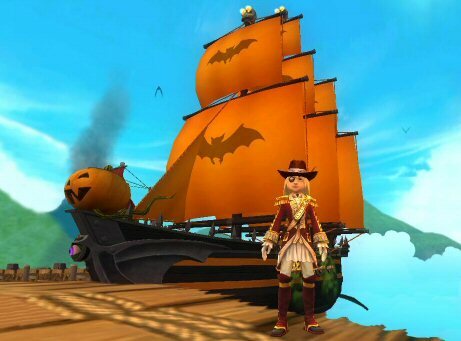 And Captain Victoria Bristol picked up the seasonal Jack-o-Lantern ship for a cool 5,000 crowns. It’s a Heavy Galleon that classified as a Haunted Galleon origin. And she named it; The Glowing Ghost. The Glowing Ghost even glows! Make sure you stop by the Crown Shop and check out all the new holiday items. There’s plenty of new things to choose from. 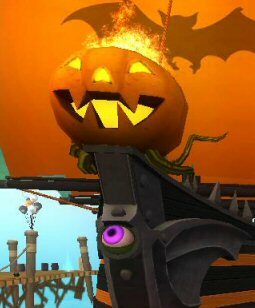 This entry was posted on October 17, 2013, in News and tagged anniversary, birth-o-ween, birthday, celebration, games, halloween, Kid friendly, kid safe, news, newsletter, online, Pirate101, Pirates. Bookmark the permalink.